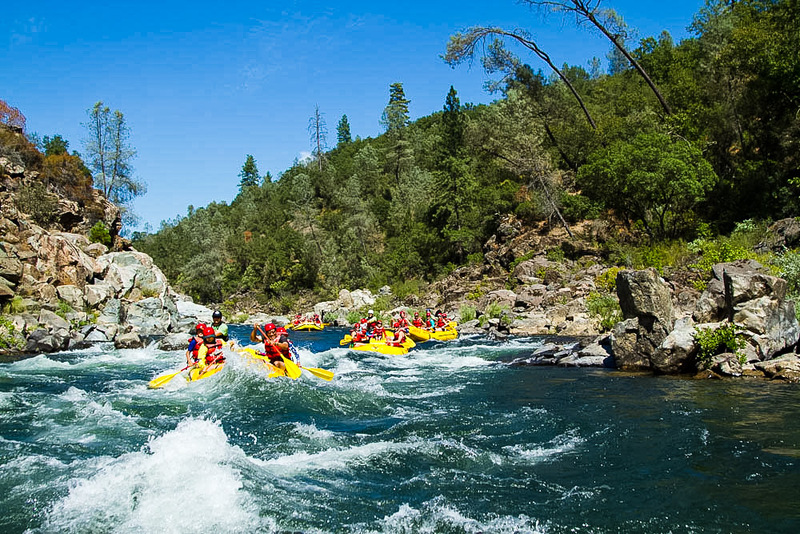 Grab a paddle, hop into a big yellow raft, and get ready for some wet, wild and adventurous fun on the South Fork of the American River near Sacramento, CA! 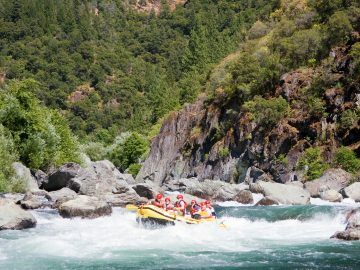 Don’t let names like Meatgrinder, Troublemaker, Satan’s Cesspool and Hospital Bar scare you; the South Fork of the American River offers some of the most exciting Class III whitewater in California and is perfect for beginners, families and anyone who just wants a day out paddling in the California sunshine. 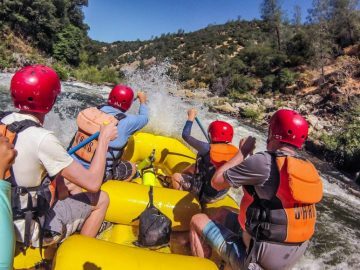 Our South Fork American River rafting trips through the rolling Sierra Foothills offer the perfect way to cool off on a warm California day. 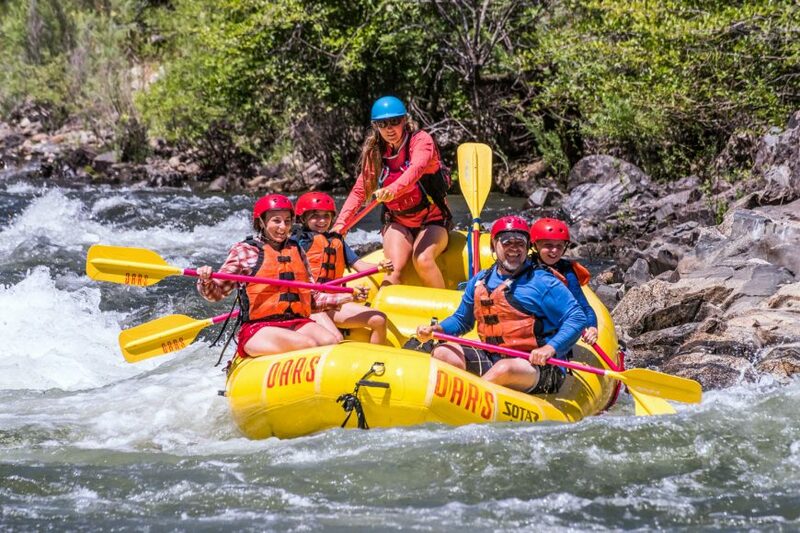 Whether you’re new to rafting and just want to “get your feet wet,” or you just don’t have time to fit a multi-day adventure into your schedule, one of our South Fork American River rafting trip options will surely be the perfect choice. 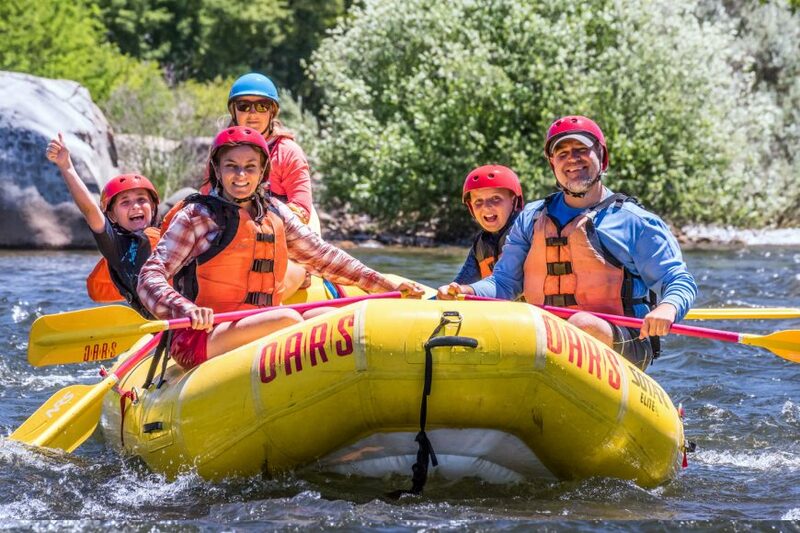 About an hour from Sacramento, and just an hour and a half from Lake Tahoe, rafting the South Fork American River is a quick and relatively easy option for an exciting family or group adventure. 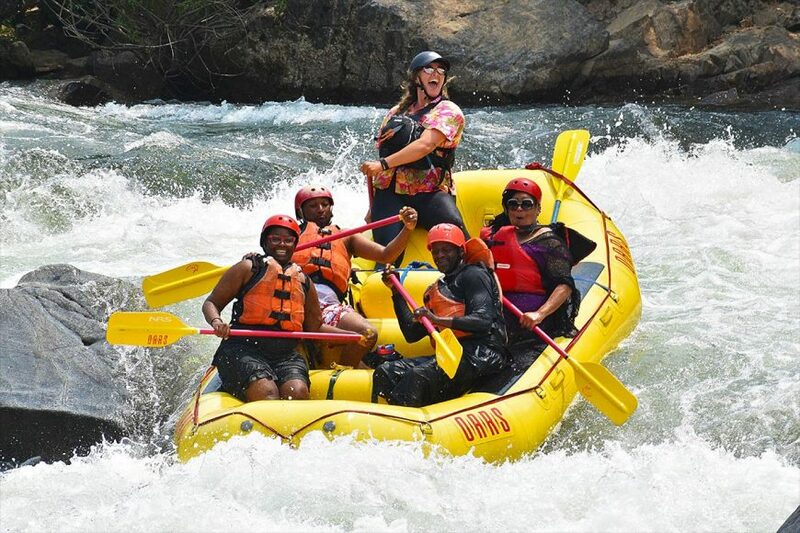 Whether paddling through thrilling rapids or swimming alongside the raft, lots of splashy good times are guaranteed. Our 21-Miler includes both the Chili Bar Run & Gorge Run! 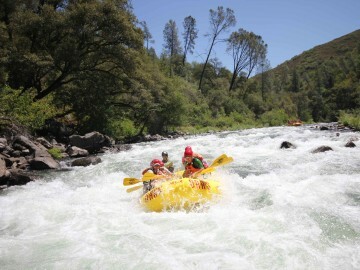 Put-in (start) for OARS Upper South Fork American River Chili Bar rafting trips. CHILI BAR HOLE (II) For many years Chili Bar Hole was the site of the Chili Bar Rodeo. On low-water years, the competition moved downstream to First Threat Rapid. Chili Bar was named after the Chilean road builders during the early Gold Rush days. A ‘hole’ is created when the river current drops over a rock or ledge and circulates instead of continuing its downstream flow. MEATGRINDER (III) A long rock garden with big waves and a hidden boulder at the bottom. 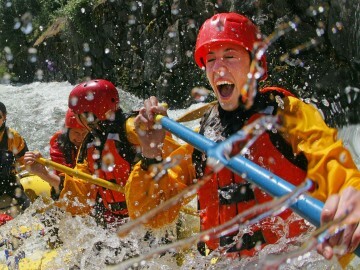 Meatgrinder is also known as “Quarter Mile Rapid” because of its length. At high flows, this rapid has some huge waves and holes. RACEHORSE BEND (II+) At Racehorse Bend rapid, the river drops and bends left, pushing current into the right wall. MAYA (II-III) There is normally a pretty easy run down the middle, but there is a big hole at higher flows. There is a sneak route on the far right. ROCK GARDEN (II) As its name implies, this is a rock garden to be maneuvered through with skill. Site of old miner’s cabin on right bank. TRIPLE THREAT (III) Three separate drops, and all three can be run down the middle – with lots of bouncy, splashy fun. 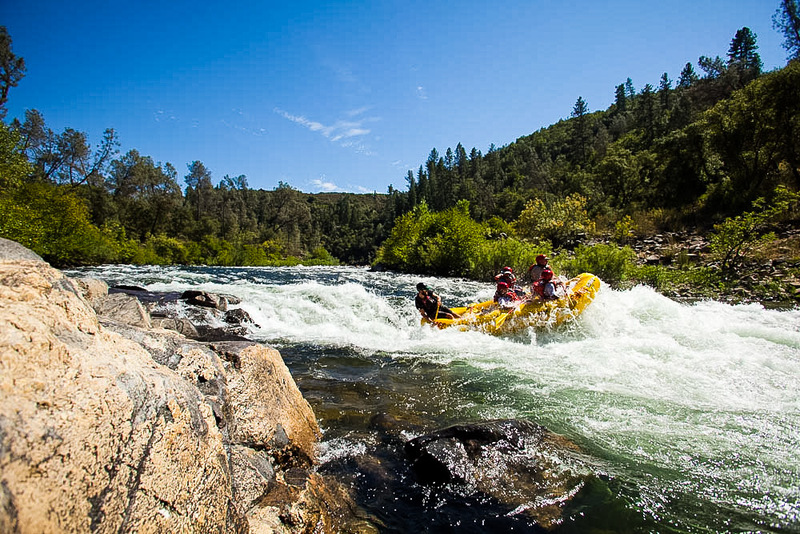 First Threat Rapid is a favorite kayak surfing hole and site of the American River Festival Rodeo. The third drop is after a sharp left-hand bend. 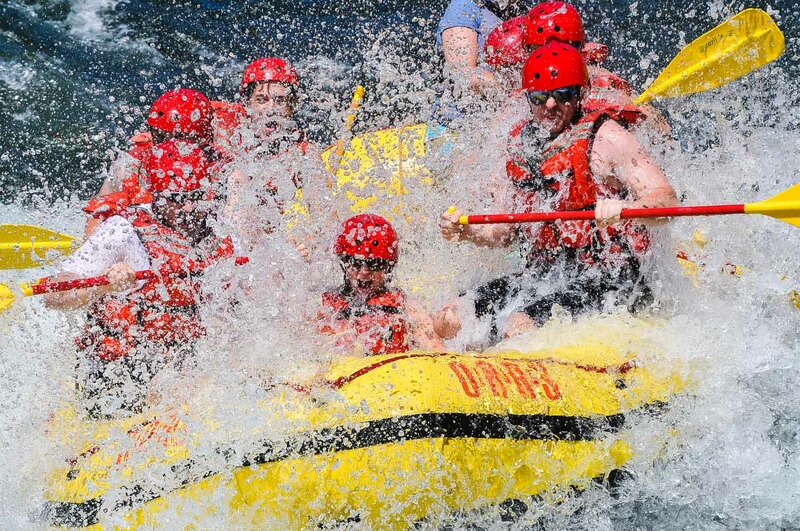 TROUBLEMAKER (III+) This is the biggest rapid on the upper section of this whitewater rafting trip. The river bends sharply right and then left, passing Gunsight Rock. It’s also sometimes referred to as “S-Turn” rapid. 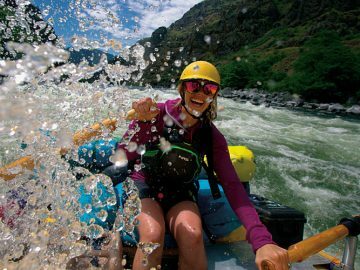 Professional photographers frequently are stationed riverside, as are a host of whitewater enthusiasts, often cheering and applauding as you pass through the rapid. 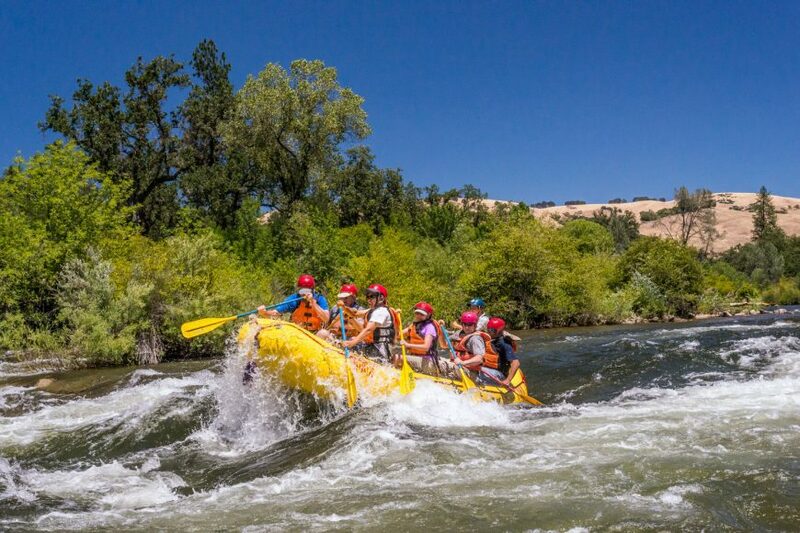 You may review and/or purchase photos from Hotshot Imaging after completing your American River rafting adventure. Easy Class I and II rapids. Pass the historic Gold Rush town of Coloma. Coloma Resort. This is located on the banks of the American River and is adjacent to the Marshall Gold Discovery State Historic Park. Marshall Gold Discovery State Historical Park. The park is located where gold was first discovered in California and sprawls across both sides of the highway, encompassing a museum, a full-scale replica of Sutter’s Mill as well as a ghost town of restored period buildings and Gold Rush artifacts. At the museum you can learn how to pan for gold. Bekeart’s Gun Shop, located in the Park, offers similar activities and old-fashioned trade goods. BEGINNER’S HOLE RAPID (II) Also known as “Taco Bender,” this is a fun play spot for kayakers. OLD SCARY (II) The river bends sharply left, with an island midstream. Old Scary used to be one of the most difficult rapids on the Chili Bar-to-Coloma section of the South Fork until high water in 1982 changed the rapid. LAUGHING EDDY (II) Also known as “Blue House Eddy” or “Whiplash.” There is a sharp-edged eddy on river left, at the blue house shortly above the bridge. An eddy is an area of usually calm water behind or downstream of an obstruction in the main current, such as a rock, where water flows counter to that of the main current. Highway 49 bridge and highway access. TAKE OUT (end) for the South Fork American River Chili Bar Run is at OARS American River Outpost. The meeting location and put-in (start) of our Lower South Fork American River Gorge One-Day trip is the private OARS American River Outpost 7330 River Park Drive, Lotus, CA 95651: Located on eleven gorgeous acres, stretching over a third of a mile on the riverfront, offers modern shower and bathroom facilities, horseshoe rings, tons of lawn game sets, and more amenities for your comfort. LOTUS LEDGE SURFING HOLE (II) This used to be a fun little ledge hole, but it was wiped out in the flood of January 1997, and is now simply a riffle. A riffle is a shallow stretch in the river where water forms small rippled waves. 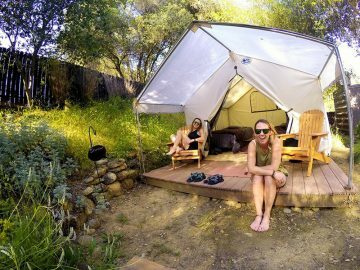 Camp Lotus. 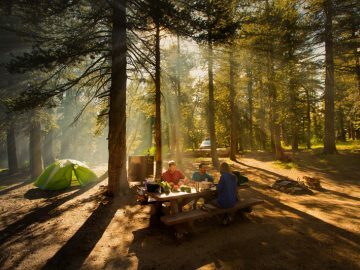 Located two miles from historic Coloma, this campground is situated along the South Fork of the American River. BARKING DOG RAPID (II) This is a fun little surfing wave where kayakers like to practice their rolling skills. CURRENT DIVIDER RAPID (II+) A rocky chute. HIGHWAY RAPID (II+) A long, curving rock garden. SWIMMER’S RAPID (II) Swimmer’s Rapid is a great spot for rafting passengers to jump in and experience what it feels like to swim a rapid. It is a fun wave train rapid. Greenwood Creek public access is on river right. Public restrooms. Public facilities on the South Fork American River whitewater rafting trip. Gorilla Rock. This rock really looks like a gorilla! FOWLER’S ROCK (III). 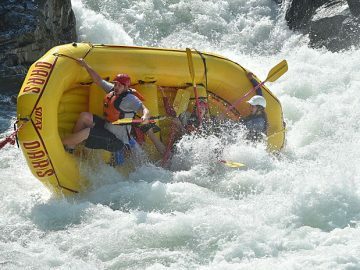 Fowler’s Rock is the first big rapid on the South Fork’s lower section. The river bends left into a short pool then back to the right where a boulder cluster marks the entry to the rapid. Interesting fact: Entrance to ‘The Gorge’ occurs after the third sighting of the Lollipop Tree. This tree can be spotted atop a distant hill and does indeed resemble a lollipop. SATAN’S CESSPOOL (III+) Satan’s is the biggest rapid in the Gorge Run of the South Fork American River. 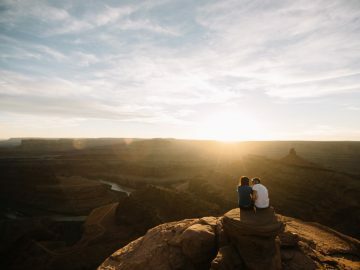 A rock above the final drop provides a good vantage point for photographers and spectators. Professional photographers are frequently stationed here with their cameras. 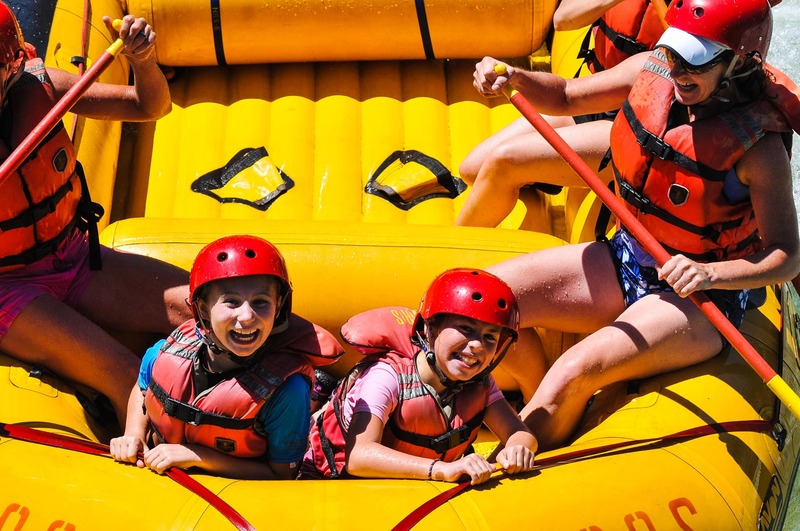 You may purchase or view your rafting photos at Hotshot Imaging near our campground entrance. SCISSORS (III) The river turns left down a narrow, rocky chute with big, irregular waves. LOWER HAYSTACK CANYON (II+) A fun, bouncy rapid with big standing waves and short drops in a narrow section of the river canyon. Weber Creek – a large, year-round creek on river left. BOUNCING ROCK (II+) This rapid provides a bouncy whitewater ride. HOSPITAL BAR (III) Named for a medical tent set up here during the Gold Rush, this is the last big, splashy rapid on The Gorge Run. The rapid is a rock chute that bends left and then right. 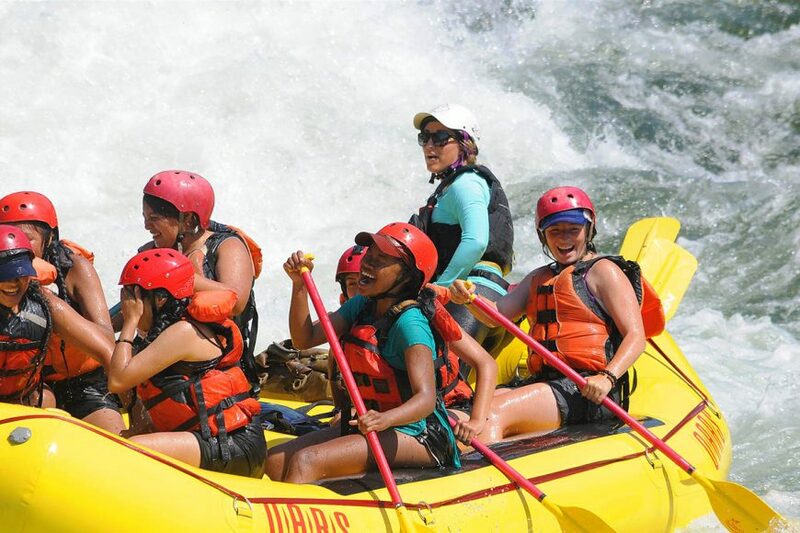 It provides surprising whitewater fun. Professional photographers are sometimes stationed here with their cameras. 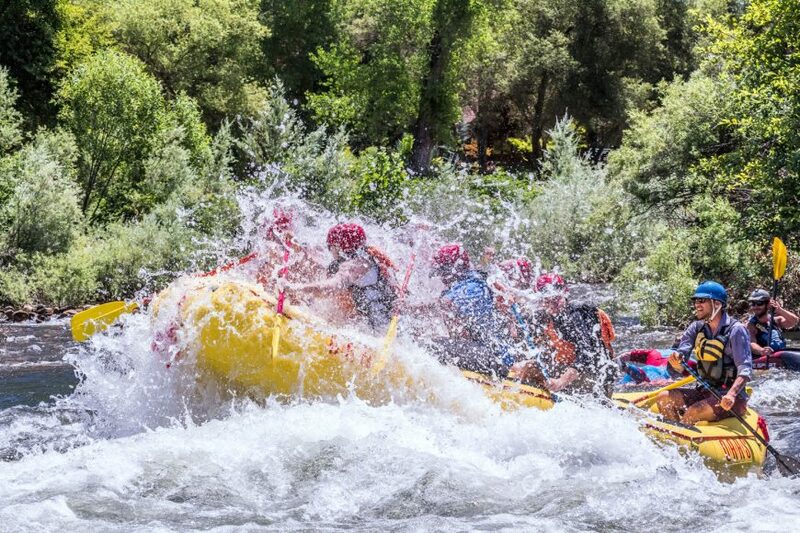 You may purchase or view your rafting photos at Hotshot Imaging near our campground entrance. RECOVERY ROOM (II+) Big, fun waves and clean drops. SURPRISE RAPID (II) If the Folsom Reservoir is full, there will be a flat-water paddle or a tow-out, and this rapid will be under water. Class II rapids continue to mile 20 if the reservoir is low. It is a treat to find Surprise Rapid uncovered! TAKE OUT (end) for the South Fork American River Gorge Run is at Salmon Falls Bridge at Folsom Reservoir. 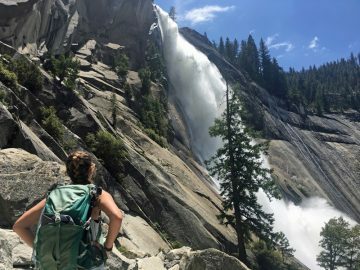 Gorge One-Day – 13 miles: Includes Lunch! Gorge One-Day: 10:30 or 11:30AM – 4:00 or 5:00PM Includes lunch! 21-Miler: (April-June) 9:00AM – 5:00PM Combine both Chili Bar & The Gorge for 21 miles of non-stop action!